Welcome to the Inside Silverstone™ podcast. A business focused podcast covering all things tech, engineering, and innovation. Hosted by Chris Broome; a huge tech, motorsport and gaming fan; and also the owner of Longhurst, a firm of lifestyle financial planners and independent financial advisers located in Silverstone, Northamptonshire, UK. 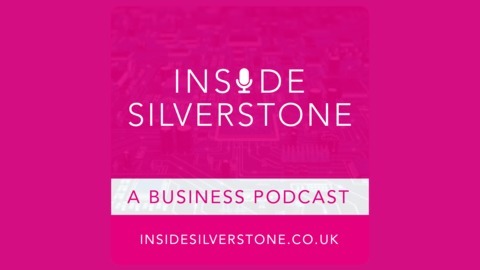 This is a series of unscripted and unpolished conversations with leading business owners, thought leaders, and high-tech talent, about their experiences within the Silverstone business and motor-sport region. Chris asks them to share their knowledge, insight, and their thoughts on the future, just for you. If you’re looking to learn more about the Silverstone high growth region, and commercially connect with like-minded peers, you’ve definitely come to the right place. Simon also explains the importance of autonomous collaboration; and the significance of being a 'Face' of the Vibrant Economy. We also touch on the importance of family, and the legacy one leaves behind. Don't forget to check out the Longhurst website for more great content. Would you like to appear on the podcast? Own a business or work in/around the Silverstone business or motor-sport region? Have a story or/and knowledge to share? 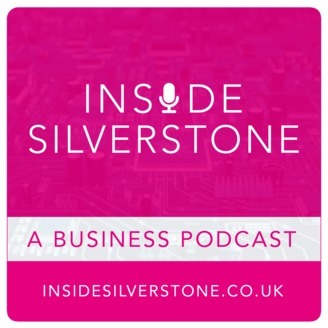 Get in contact with Chris on insidesilverstone@longhurst.co.uk, or reach out on Twitter @SilverstonePod. Chris Broome is first and foremost a big tech, motor-sport, and gaming fan. So the opportunity to host a podcast focusing on these topics was too good to turn down. In his day-to-day life Chris is a Chartered Financial Planner and Fellow of the Chartered Institute of Insurers. His business, Longhurst, has a niche providing financial advice to clients and businesses who work in the tech, innovation, and engineering sectors. Their head office is located on Silverstone Park, Northamptonshire.